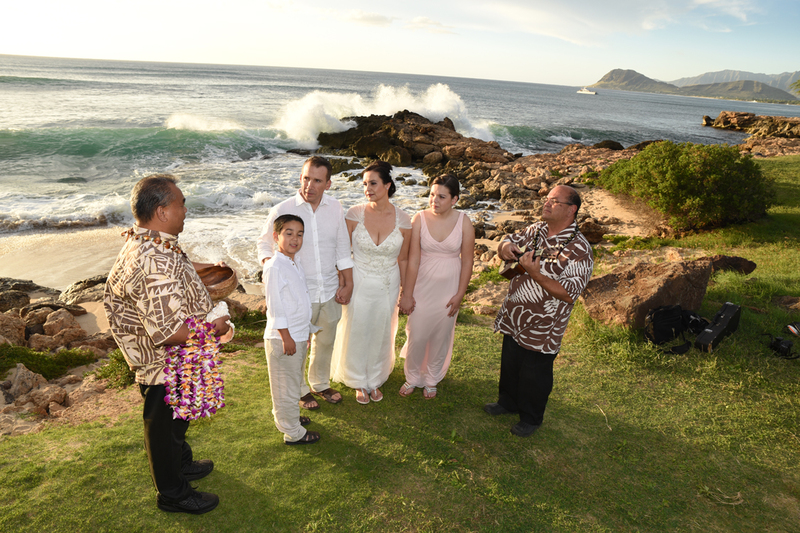 When I decided to renew our wedding vows in Hawaii to celebrate our 20th anniversary, I went about researching chapels and other services. A small service at our resort would have run us about $4,000. Chapels cost about the same or more, which seemed extravagant to me since it would only be me, my husband, and our two children present. 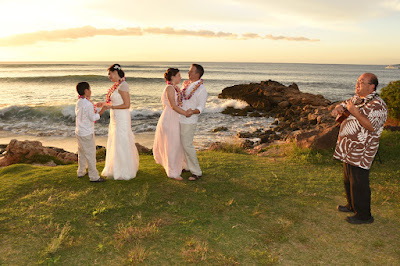 All I wanted was a beautiful beach backdrop, flowers, music, photos, and some heartfelt vows. 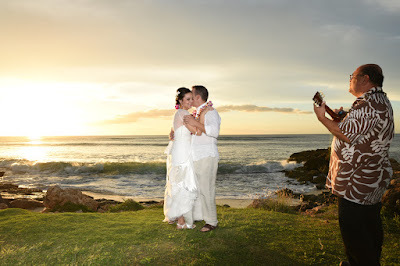 I am so glad I ran across Robert and Bridal Dreams Hawaii. He came to where we were (Ko Olina) and arranged a charming pastor, a lovely ukulele player, and led us to the most stunning backdrop, all for a fraction of the cost. 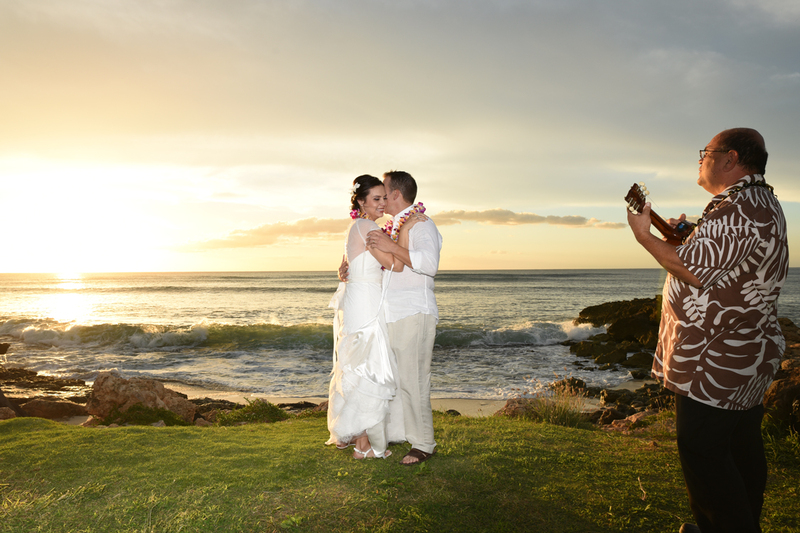 The photos were great and it was a perfect ceremony. 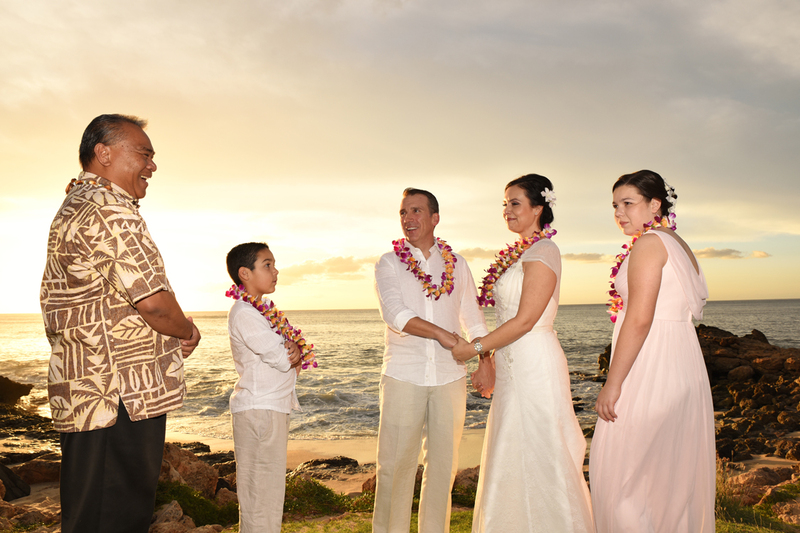 We are grateful for the very special memories!